Dear participants of Lindy on Track 2016! This year for the technical reasons we will start our tour not in Krakow, but in Skawina, which is situated about 16 km from the center of Krakow. We will do our best to make your travel as convenient as possible. Our vintage train will arrive the Main Railway Station in Skawina (ul. Władysława Sikorskiego 18) at 11:30 am and will leave at 12:00. We will arrive in Zakopane around 7pm (our travel will last about 7 hours during which we will travel over the distance of 140km). The organizers provide special Lindy on Track buses from Krakow to Skawina for all participants. The buses will set out from Kurniki Street at 9:45 am and 10:00 am. Please, make sure to be there a few minutes before departure. Our buses will leave on time. Unfortunately, in order to keep an adequate Leader - Follower ratio during workshops and parties at Lindy on Track 2016, we can't accept anymore followers registering on their own for intermediate level and Party Pass. Please, try to find a partner and register with him or wait until the Lead to Follow ratio improves. We will contact you when the place is available. Dear Friends, we would like to proudly announce that in 2 days we are opening the registration for the second edition of Lindy on Track: Take the A Train! More details are comming very soon! During our train journey from Cracow to Zakopane we will travel in 6 cars, the first three cars will be passenger cars with seating. The remianing three cars will be the bar car, dance car, and luggage car. Each will have a unique name as outlined below. If you would like to become familiar with the look and style of the cars under our disposal we invite you to read the information we have provided about them. Car number 024122 represents a series of 4th class cars that were built from 1921 for the German National Railway. What makes the body of this car stand out is that the lack of a connecting hallway. 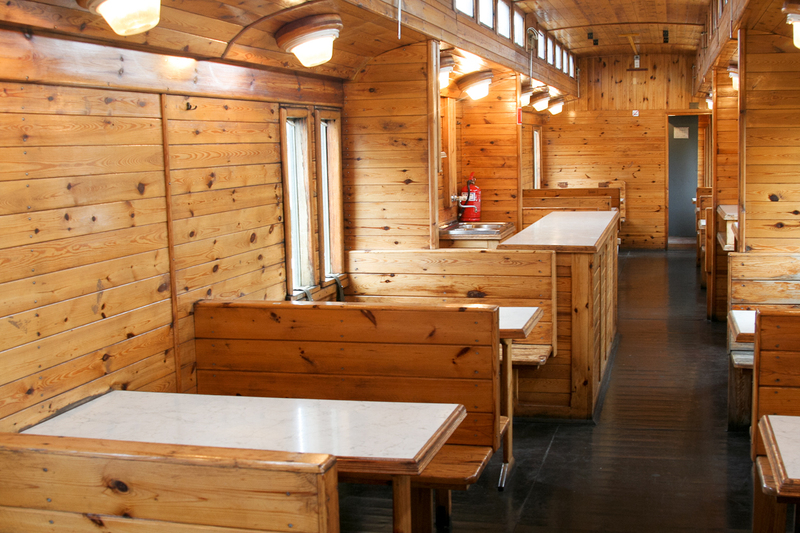 Passangers entered their seating compartments through individual doors from the outside of the train – thus these wagons were known as “boczniki” roughly translated as “siders.” Walking between seating compartments was possible through exterior footplates along the outside. 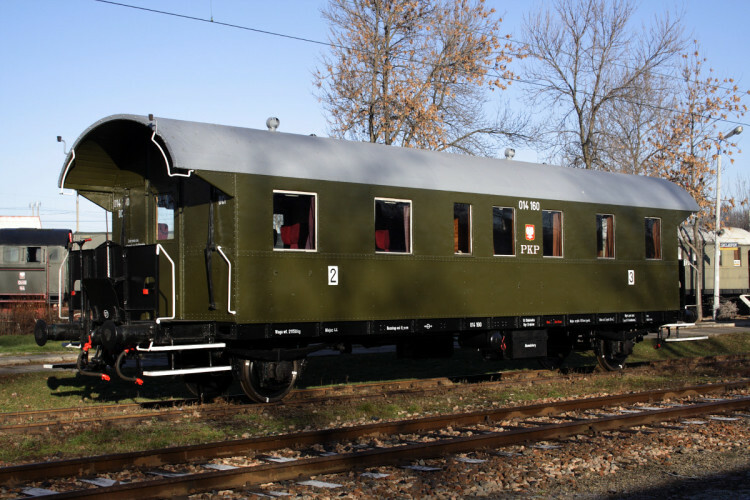 The passanger wagon located in the Chabówka Train Museum was renovated in 1992 by ZNTK in Ostrowie Wielkopolskie. During Lindy on Track it will serve as a luggage wagon, and will be the last car attached so that dancers can still move freely around the train. 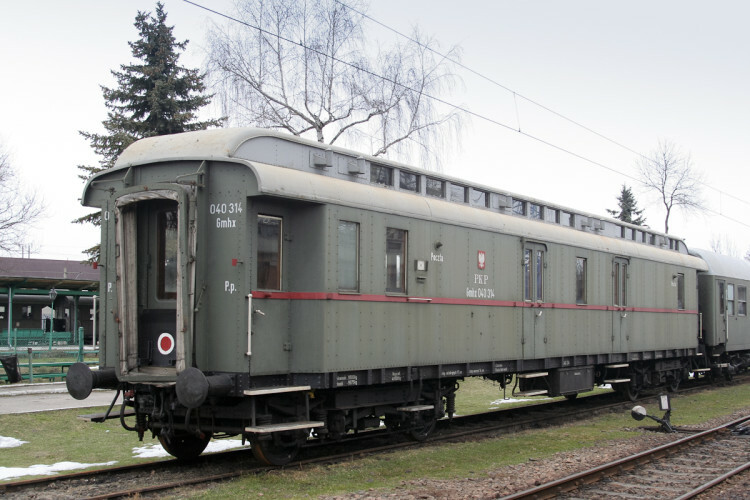 Cars of this type have open air connecting passage between cars and were ordered by the German National Railways as a standard build for cars with metal frame. 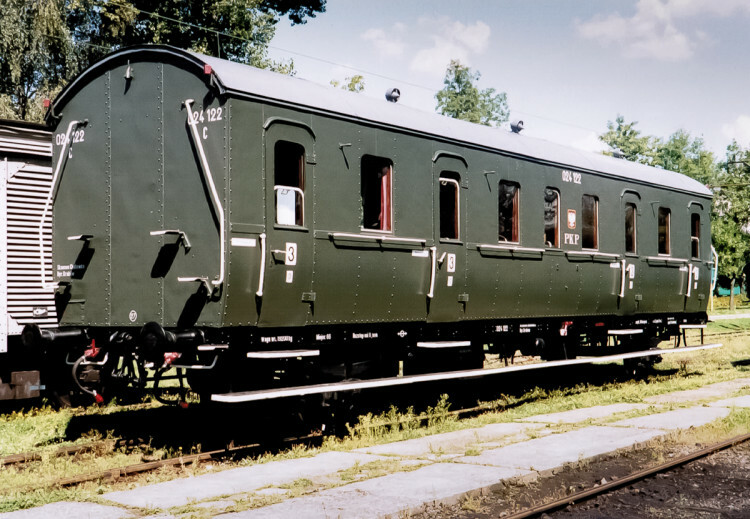 This wagon was renovated by ZNTK in Ostrowie Wielkopolskie in 1992, and was refit with typical 4th class seating of German rail cars of the era.